Meet us at POWTECH 2019 in Nuremberg, Germany on April 09-11, 2019! 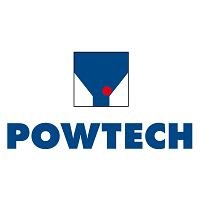 Take advantage of the overall dynamics offered by POWTECH, the leading exhibition for experts in powder and bulk solids technology! This event provides a presentation platform for innovations and advancements in processes for the manufacture of quality products made and processed from powder, granules, bulk solids and liquids – also for the environmental and recycling sector. Silingen Polska Sp. z o.o.